Described by Rolling Stone as “the best reggae band on the planet right now”, New Zealand reggae-soul heavyweights The Black Seeds announce their return for a six show April Australian tour. The Black Seeds perform shows in Melbourne, Sydney, Perth, Coolangatta, Adelaide, as well as The Big Pineapple Festival on the Sunshine Coast. 2012 saw The Black Seeds release their fifth studio album Dust And Dirt (Remote Control) which was lauded by both critics and fans alike. The album marked something of a new phase of creative freedom for the New Zealand 8-piece: Funk, rock and disco elements standing shoulder to shoulder with the heavy reggae/dub jams on which The Black Seeds have made their name. The band also completed a sold out worldwide club tour and monster European summer run which saw the band performing to over 50,000 revelers at festivals such as Rock En Seine and Lowlands. 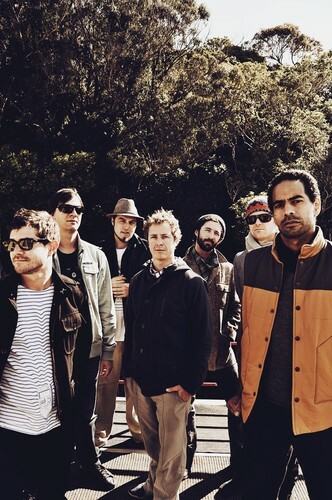 Australian fans can now also download their latest single ‘Love Me Now’ for free from www.theblackseeds.com in time for the tour. Renowned for their killer live shows (described by UKs Clash Magazine as “one of the best live reggae acts on the planet”) do not miss this epic live band as they perform six concerts across Australia in April.